Cabin crew are at the forefront of a fundamental shift in the aviation industry; one that’s pushing customer service levels up to whole new altitudes. Aviation is evolving from a commoditised transportation business into a hospitality focused industry. Customer satisfaction is at its highest level in over 20 years, driven by improvements made by small and medium-sized airlines like customer service leader JetBlue. Cabin crew customer service can make or break your airline, so we’ve prepared this handy guide to get you up to speed. Technology encompasses the most revolutionary aspects of customer service practised by cabin crew today. The last few years have seen a host of airlines roll out new processes that use mobile devices and intelligent apps to personalise customer service. In future, apps like Boeing’s ‘vCabin’ will enable cabin crew to quickly find out which passengers are medically qualified in case of an emergency, and take food or drink orders remotely. What are the benefits of exemplary cabin crew customer service? “Carriers most focused on providing a pleasant experience are being rewarded with higher customer satisfaction and loyalty”, according to marketing information firm J.D. Power. The strength of customer service could be seen from 1990 – 1995, when the industry contracted sharply, haemorrhaging billions of pounds in the process. British Airways — who put customer service at the heart of their operations — were one of the few airlines to maintain profitability throughout. If you can provide a level of service that others can’t, customers will be willing to pay a premium for it. British Airways estimates that their approach to customer service adds roughly 5% to annual customer numbers, equivalent to around £250m additional revenue. 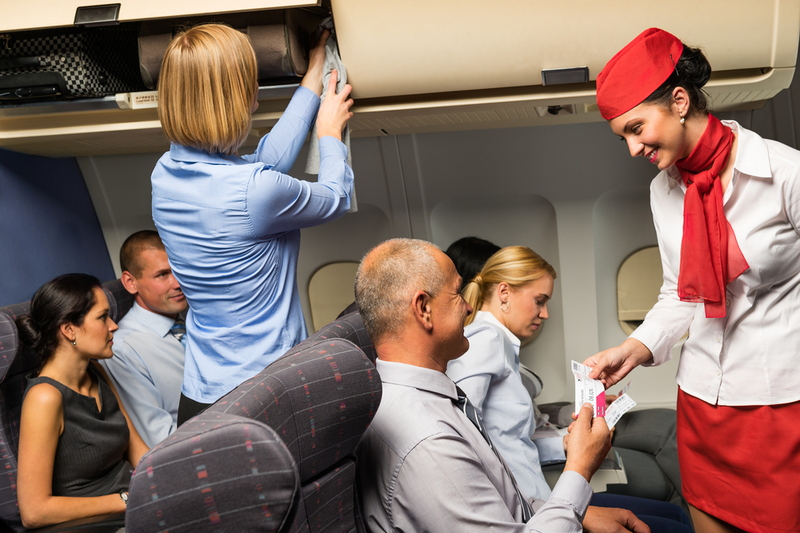 Good cabin crew customer service practices can create a cycle of improvement. When passengers receive better treatment, they tend to behave in a way that improves cabin crew working conditions. Contented cabin crew are more likely to provide a higher level of service and stay with your company for longer, helping you keep hold of valuable experience and build on the developments you’ve made to date. Your airline’s cabin crew are the face of your brand, and provide the most direct way of increasing revenues by improving customer service. Call on AeroProfessional to help you secure talented cabin crew that will set you apart from the competition.